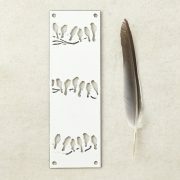 Doorplate in White gloss enamel. 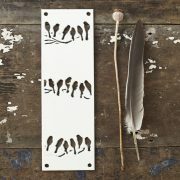 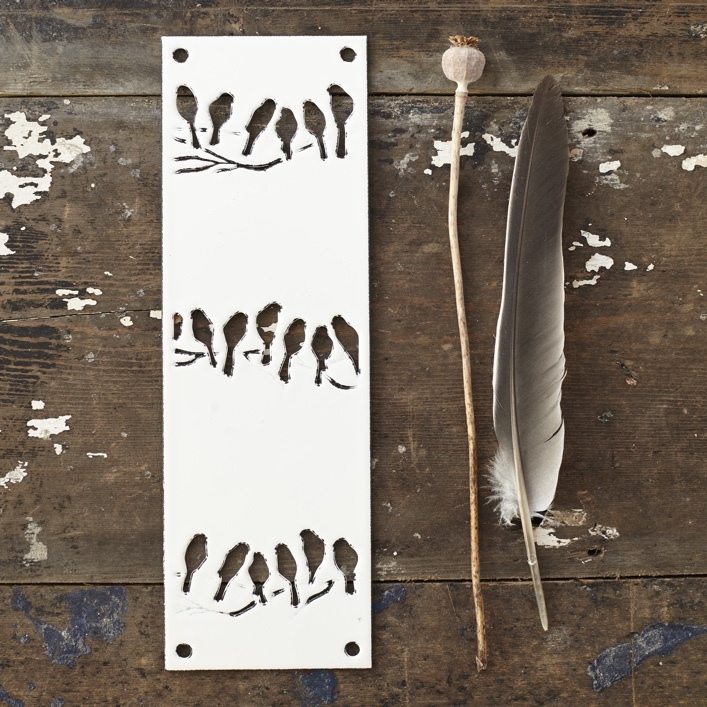 Inspired by Victorian finger plates, our ‘Sitting Birds’ doorplates are made to protect and beautify doors. 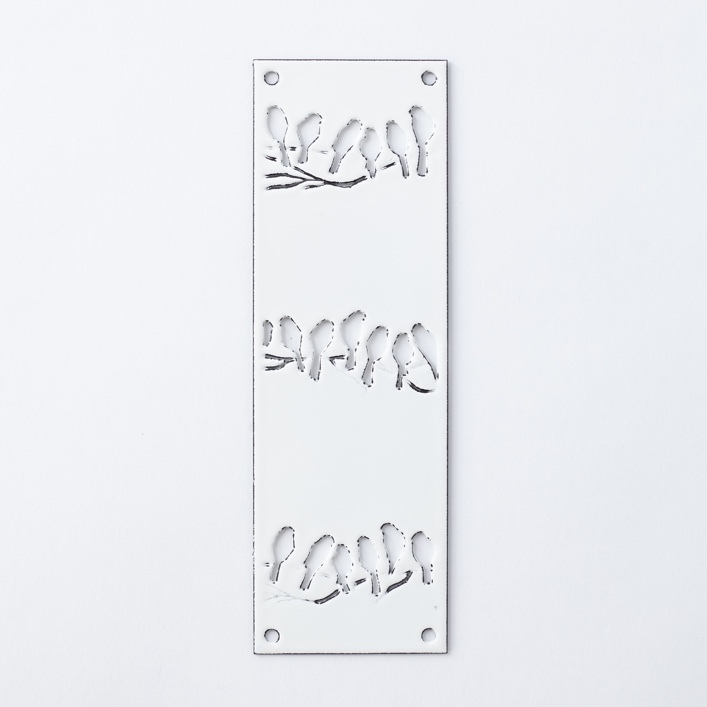 Designed by Honeybourne Jewellery, our Doorplates are laser cut from steel, then coated in White gloss Vitreous enamels and finally kiln fired by Island company AJ Wells. 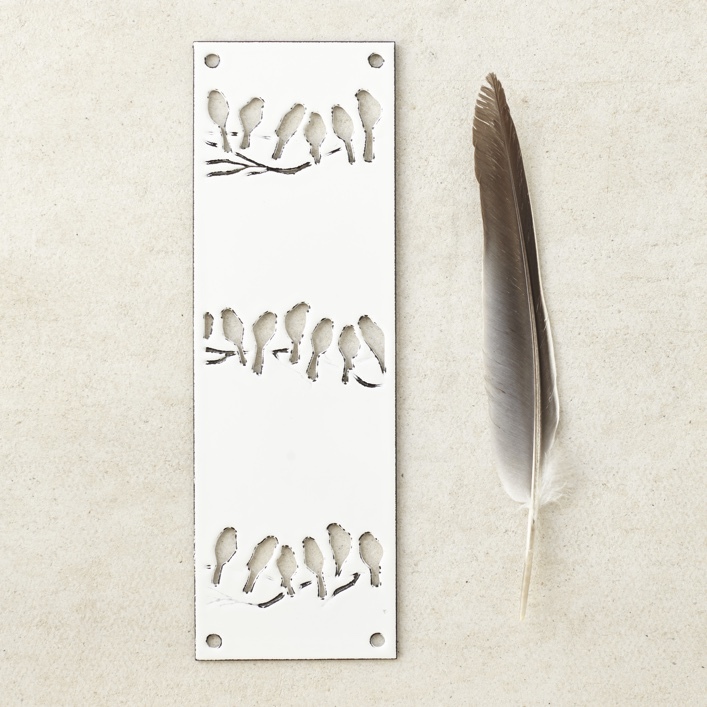 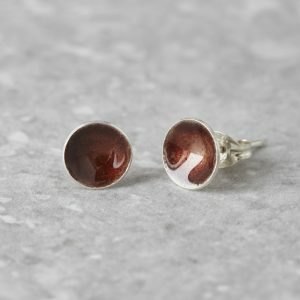 Although they are made for use on internal doors, they can also be used on external doors but some patina may naturally occur. 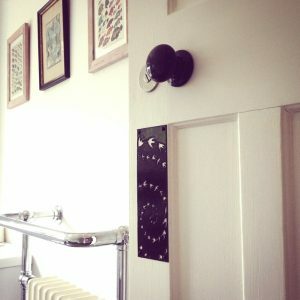 Black screws are provided.